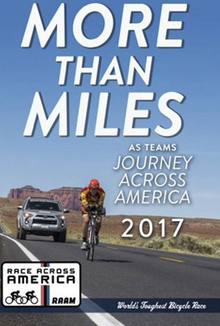 More Than Miles - A Journey Across America - Race Across America is the worlds toughest bicycle race. Competitors challenge themselves and their support crews from the West to East coast of the USA in an non stop 3089mile journey. In this film we follow the team’s that comprise 4 riders as they race in a relay format in the quest for glory.